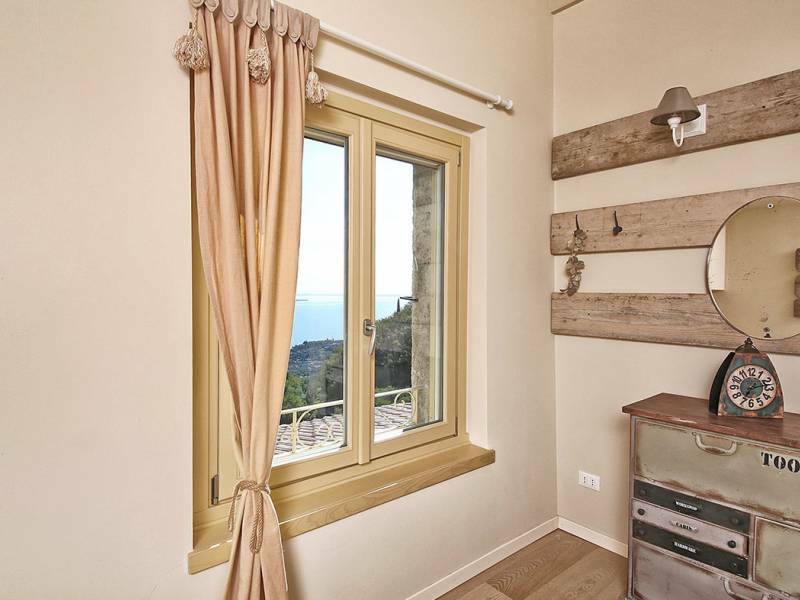 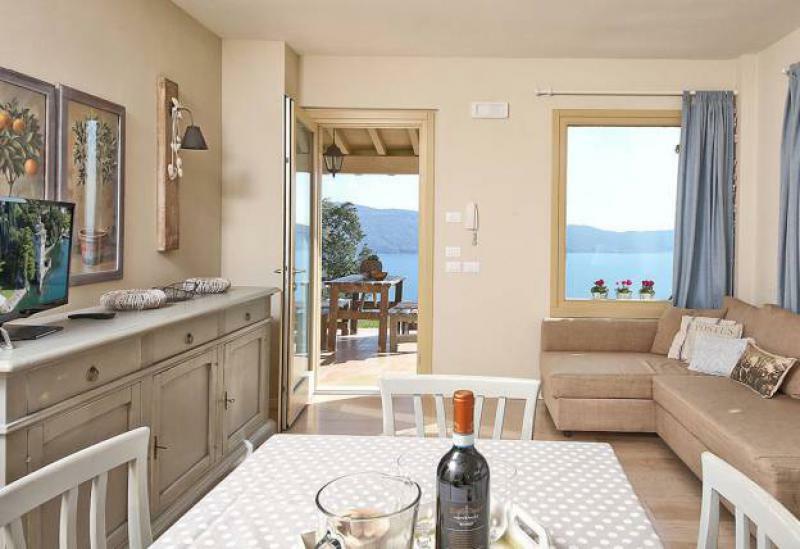 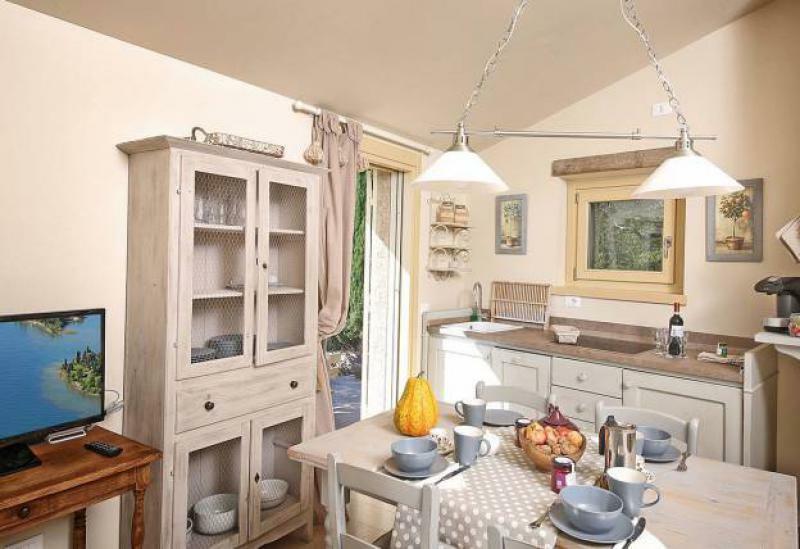 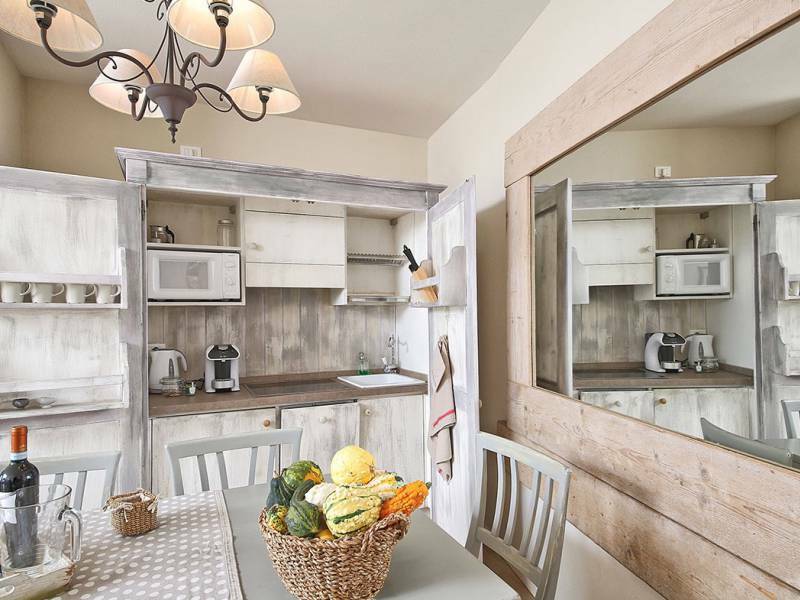 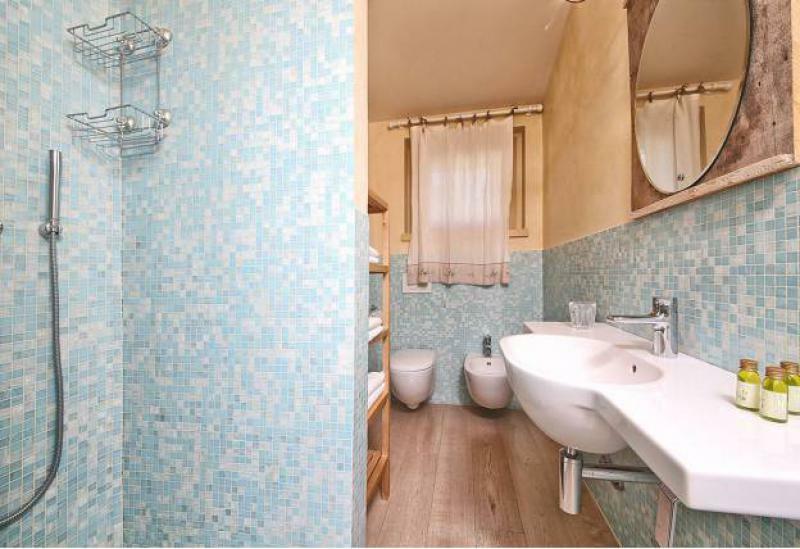 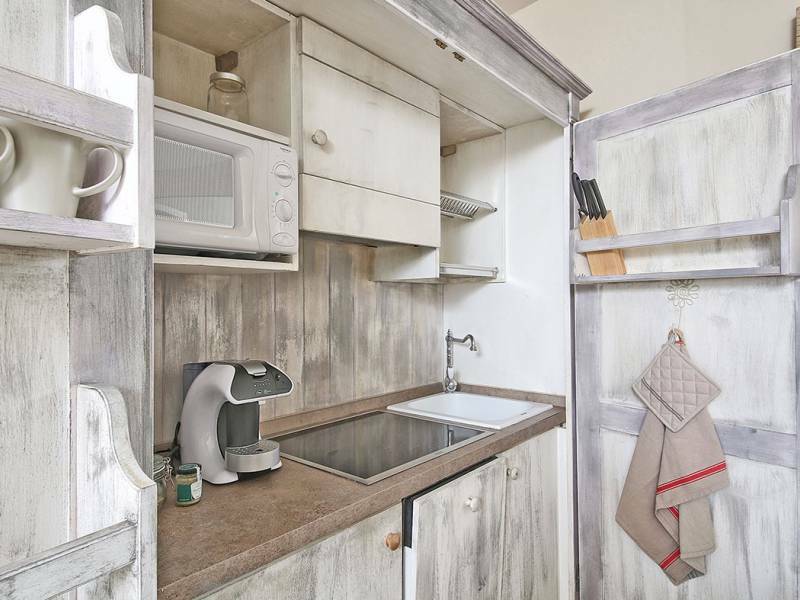 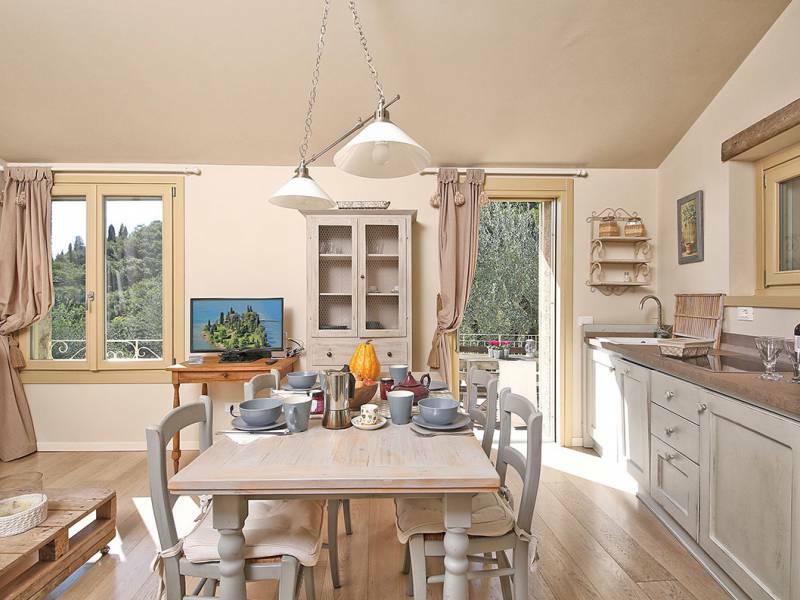 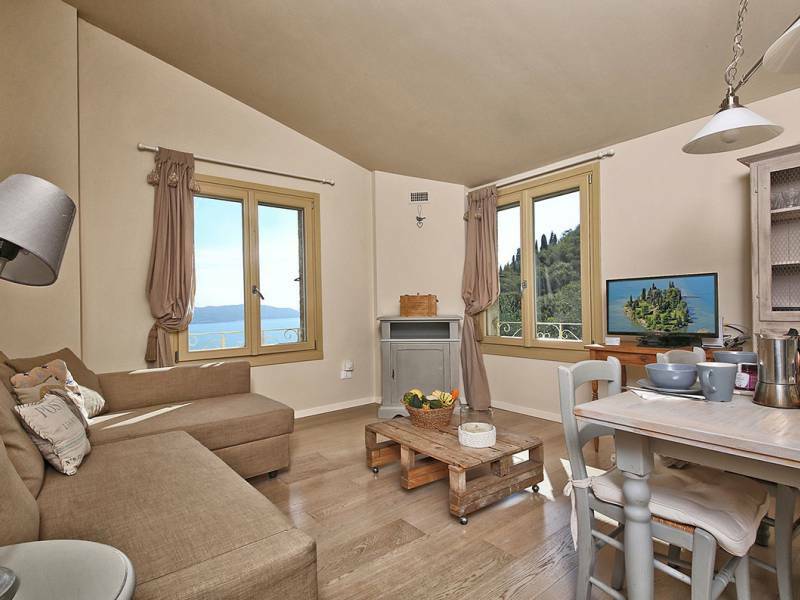 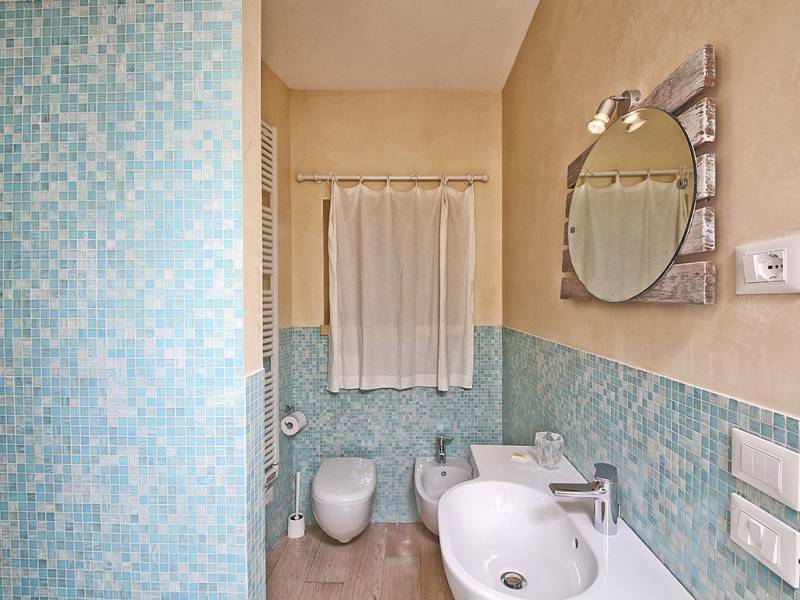 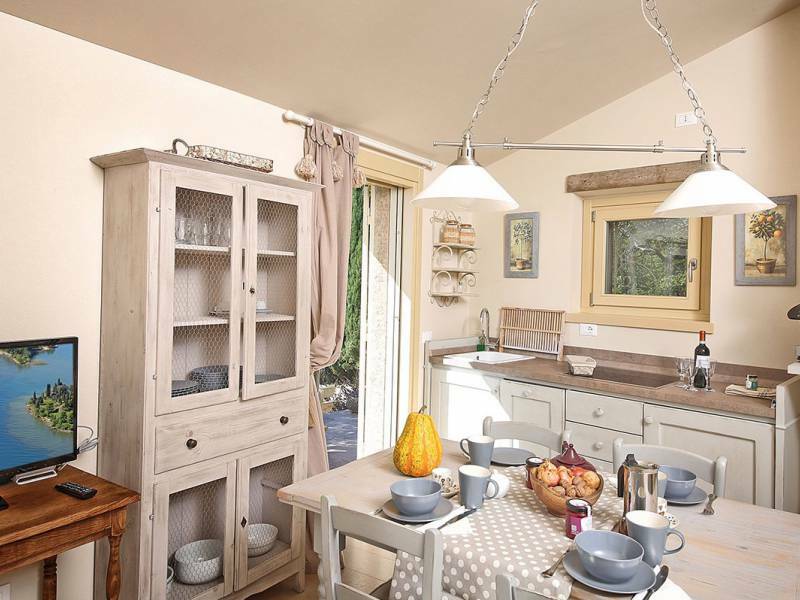 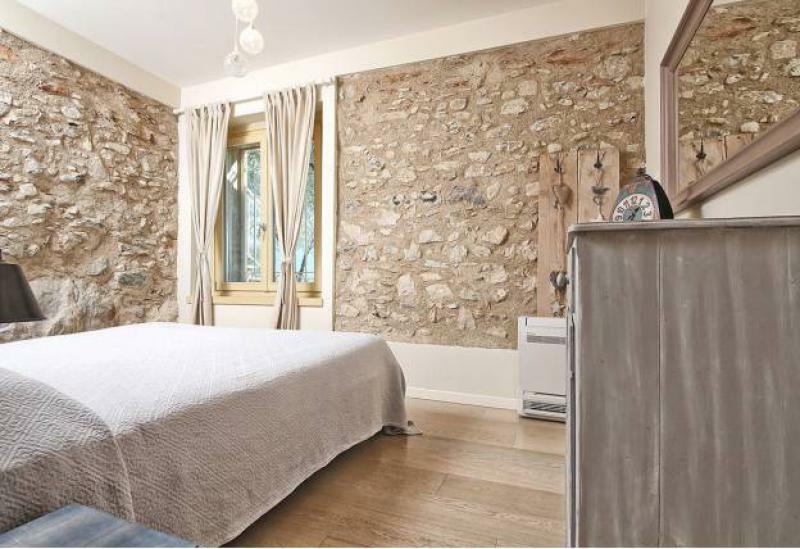 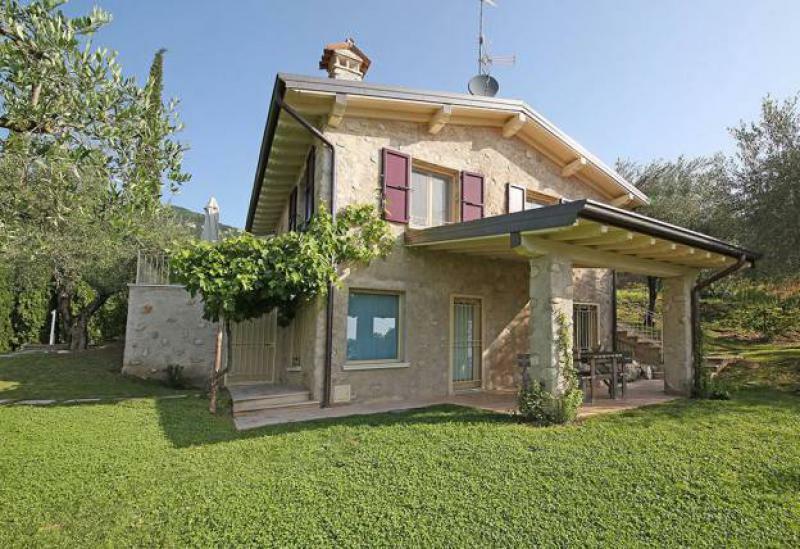 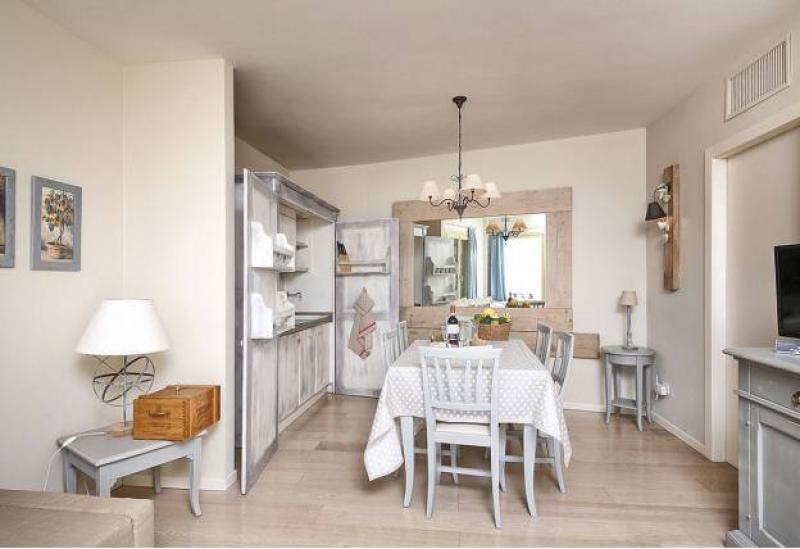 In a beautiful part of Lake Garda, on the edge of a nature park, is this charming home consisting of two apartments. 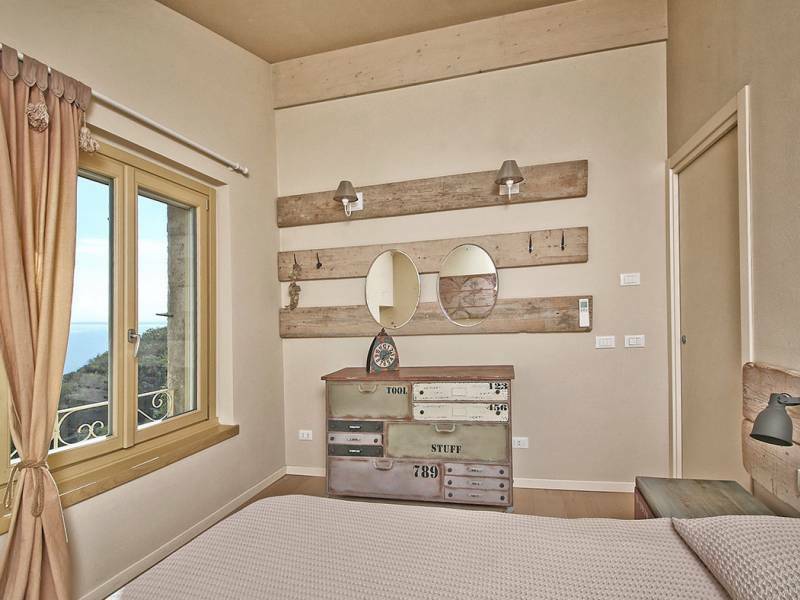 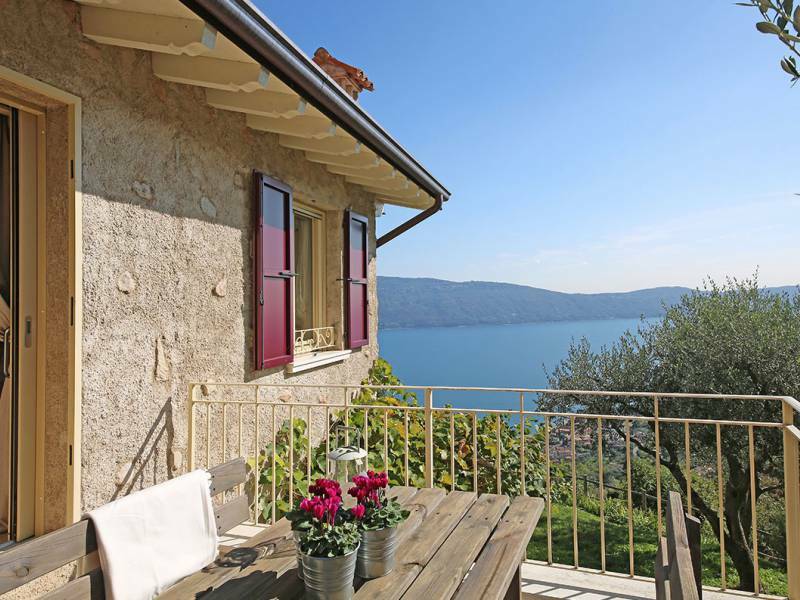 The farmhouse is located 300 meters above Lake Garda and therefore has a amazing view of the lake and mountains. 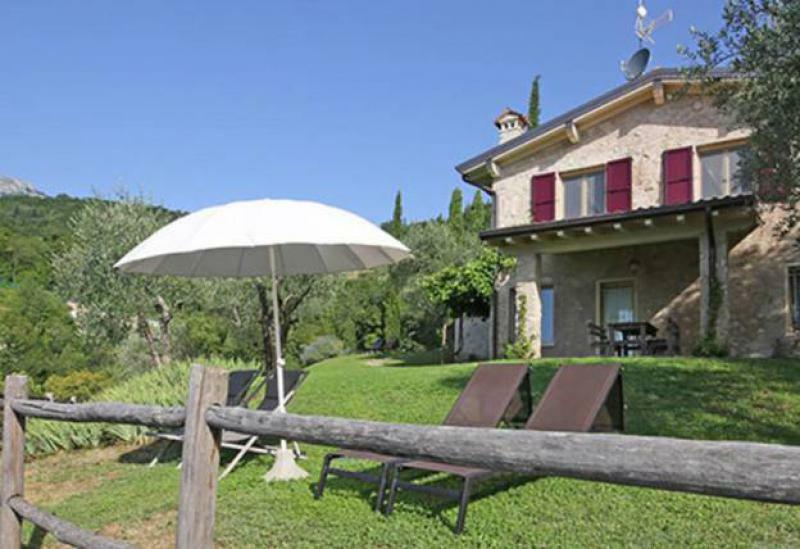 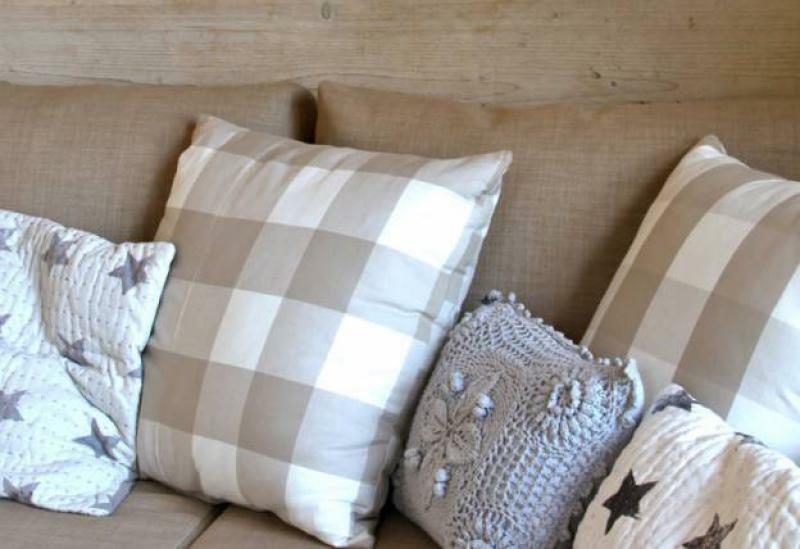 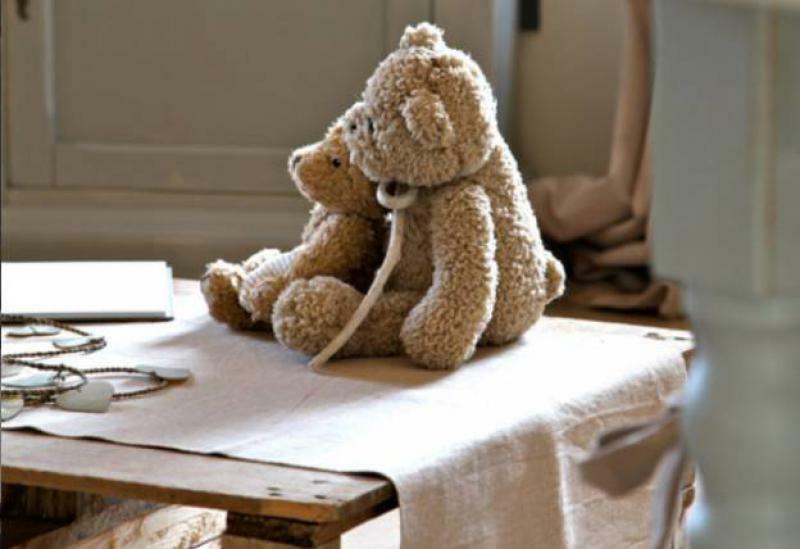 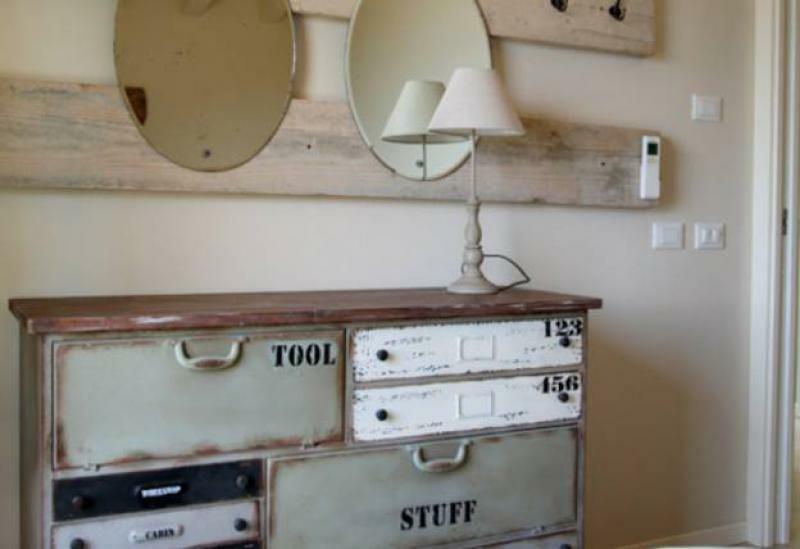 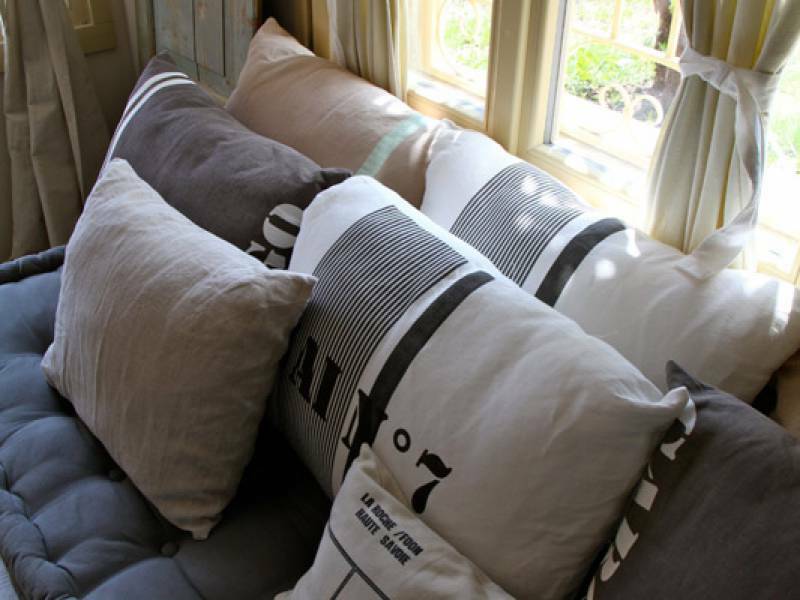 It belongs to the owners of nearby agriturismo 141, where they will welcome you and accompany you to the farmhouse. 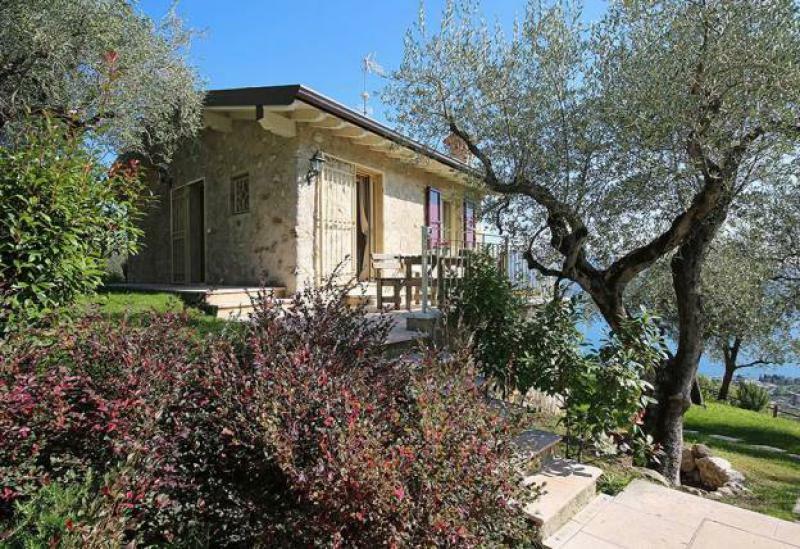 From the lake it's about 3 kilometers, driving between the terraces full of olive trees and other fruit trees. 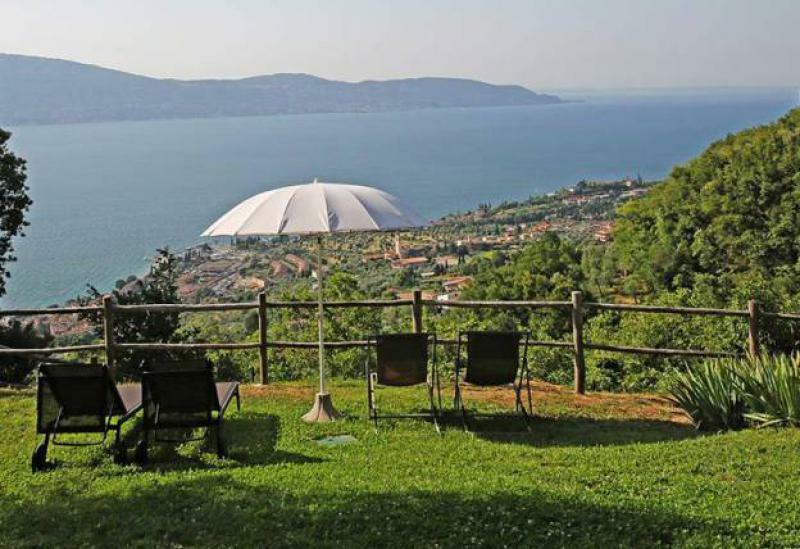 Lake Garda is famous for its tourist places, but here you can also discover a different side of Lake Garda. 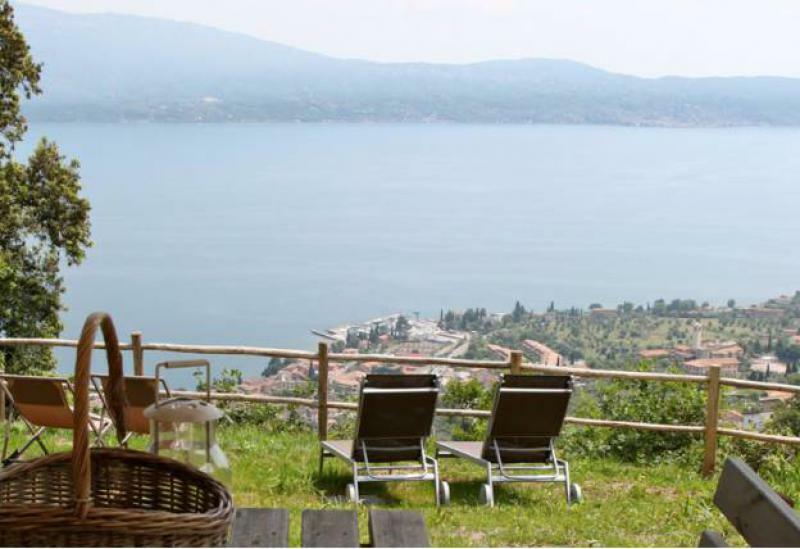 From the terrace or on a deck chair by the pool you can get away from the crowds and enjoy in peace the views on the lake. 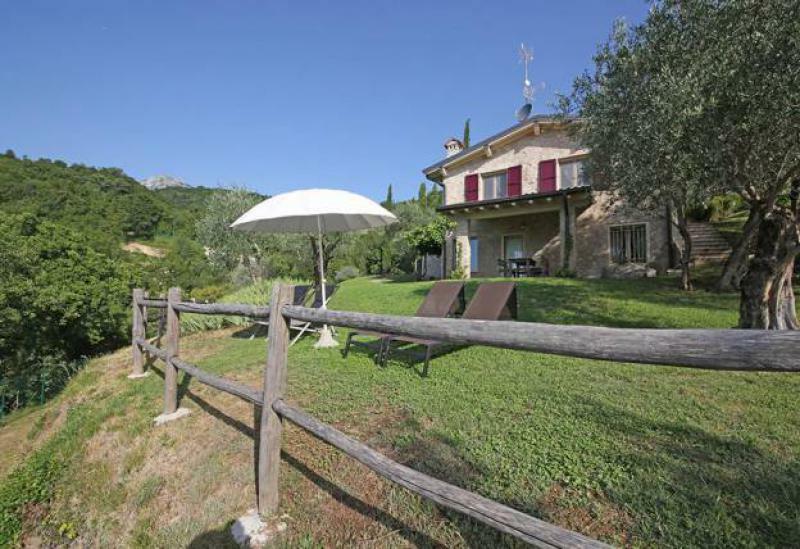 Nearby you can stroll among the olive trees, vineyards and woods or play golf at the nearby panoramic 18 hole golf course. 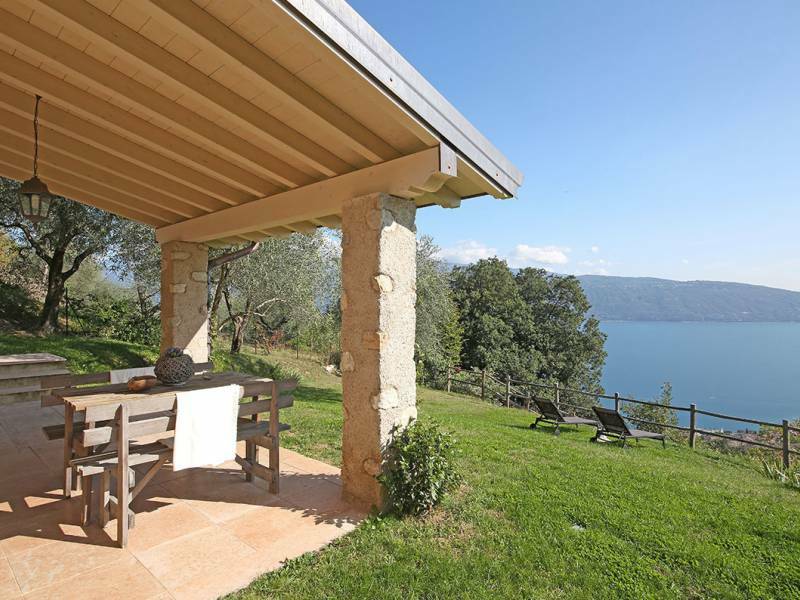 Also the villages on this side of the lake are still authentic and you are mainly among the locals. 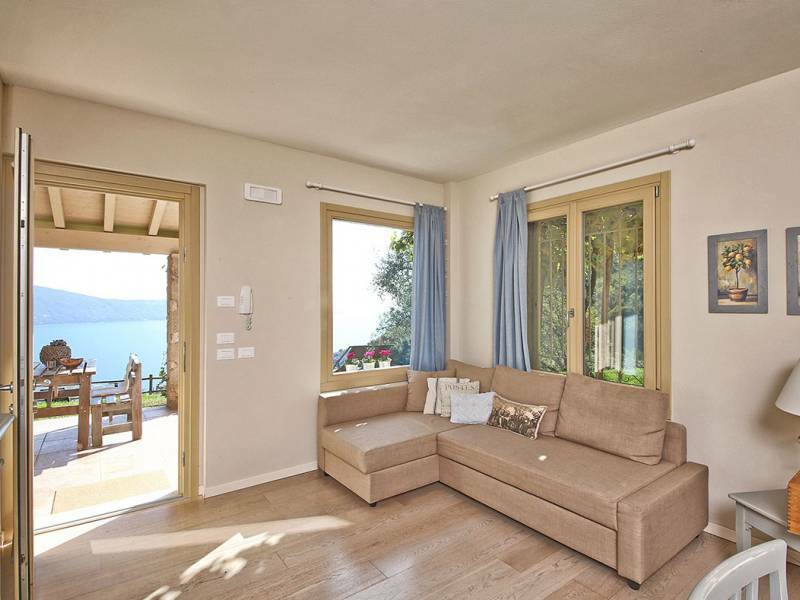 In half-hour you are in the charming towns of Salò and Riva del Garda, to enjoy the buzz of the lake and a nice stroll along a boulevard. 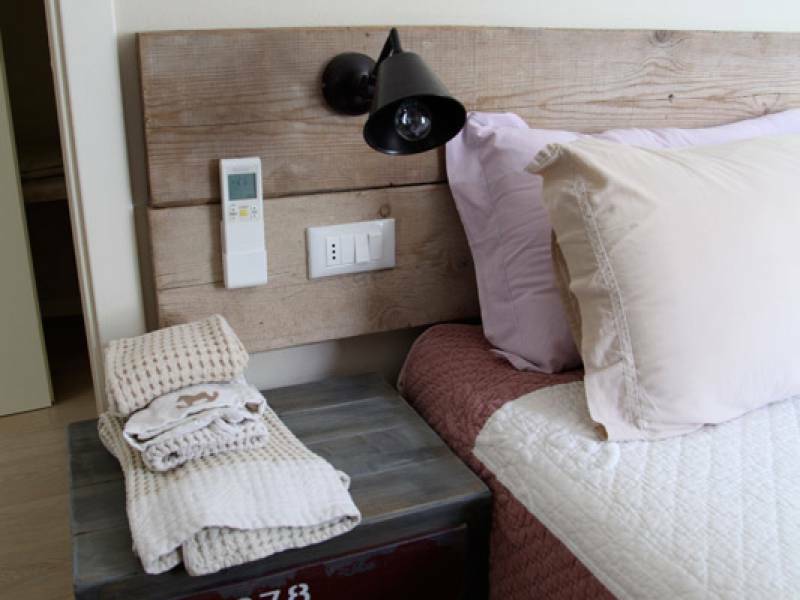 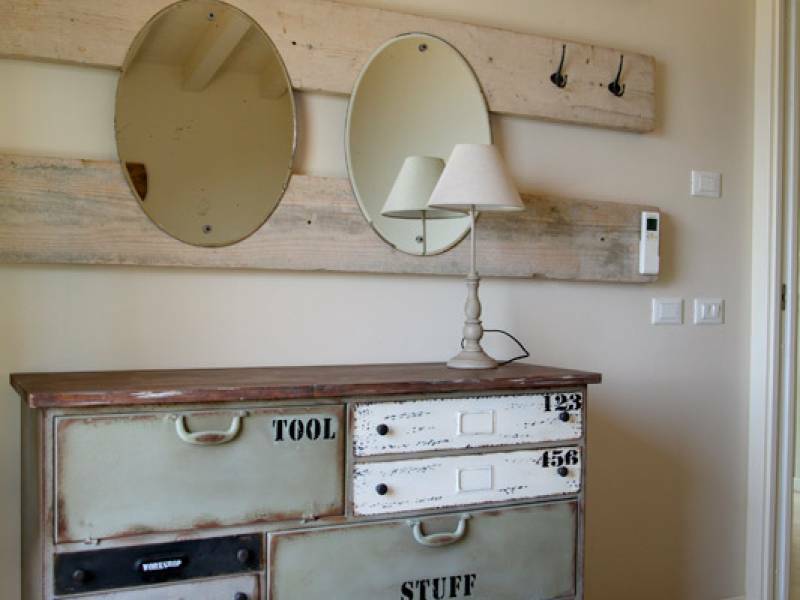 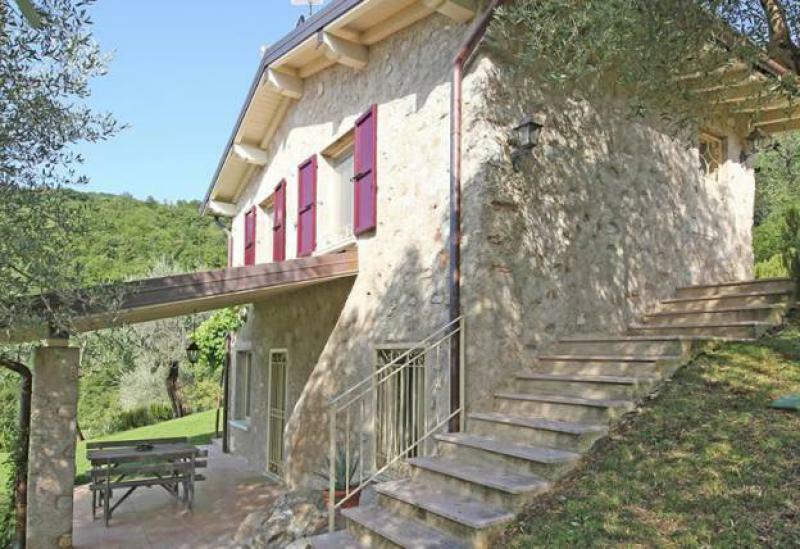 The farmhouse has recently been renovated in a ecological way and adapted to modern needs, but retaining the original character. 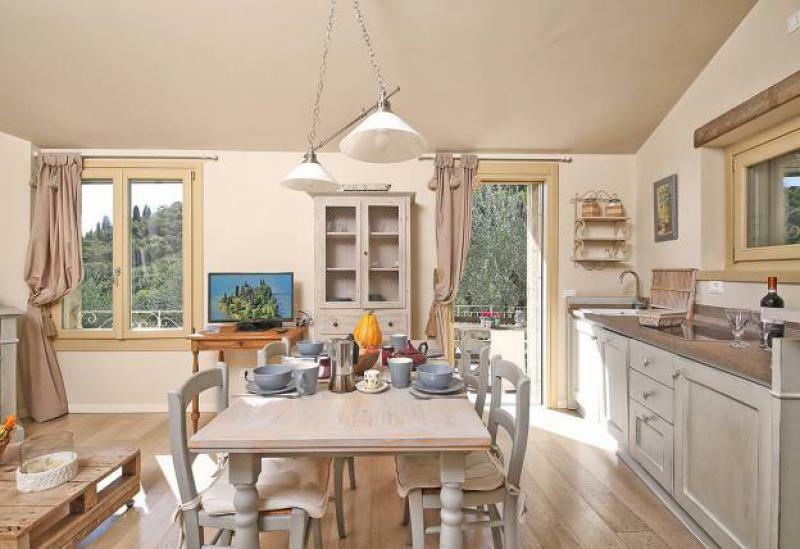 On the ground floor is a one-bedroom apartment with private covered porch and direct access to the garden. 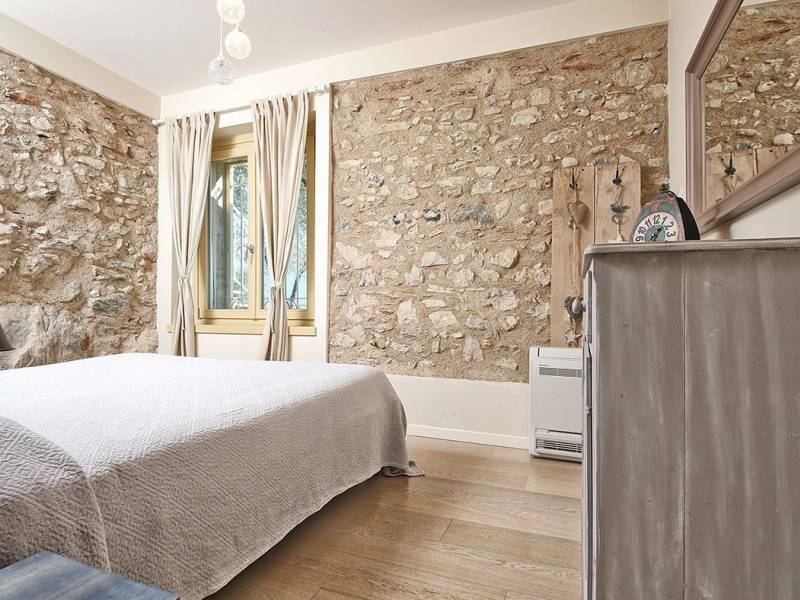 On the first floor is a one-bedroom apartment with a fireplace, a private terrace and direct access to the garden. 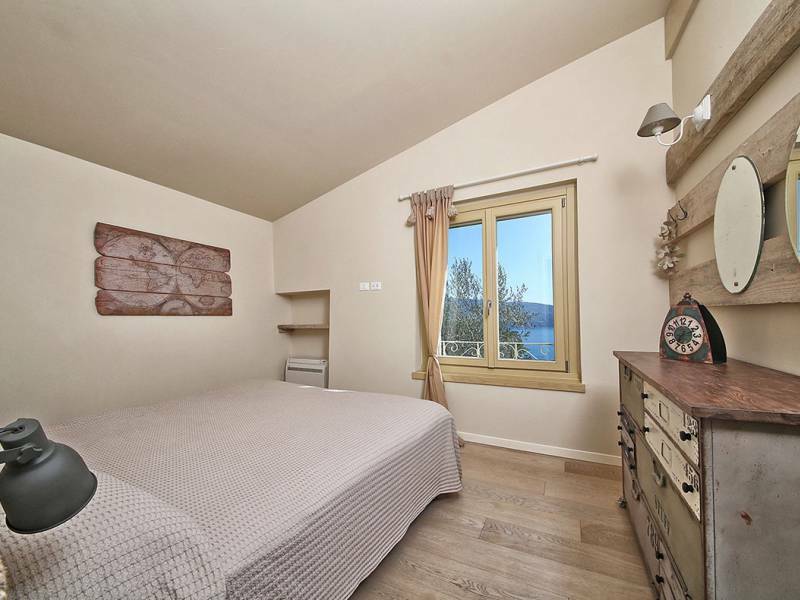 The apartments have air conditioning and wifi. 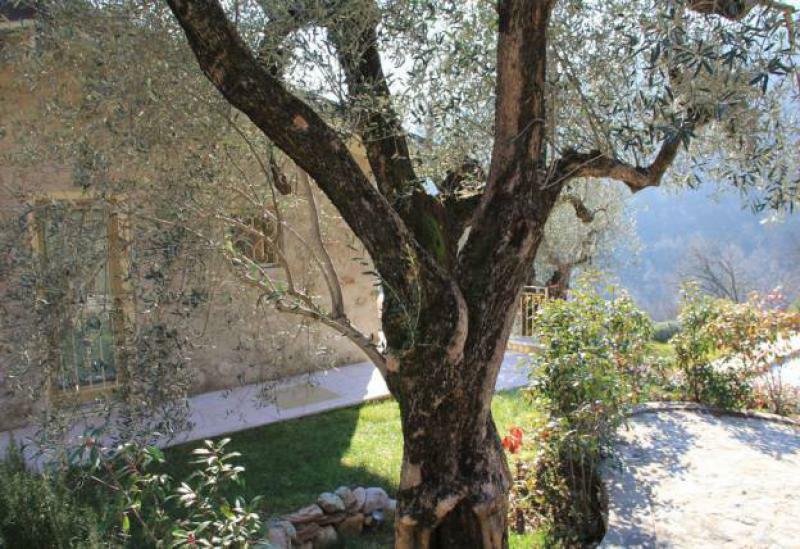 The farmhouse is surrounded by a garden with beautiful old olive trees. 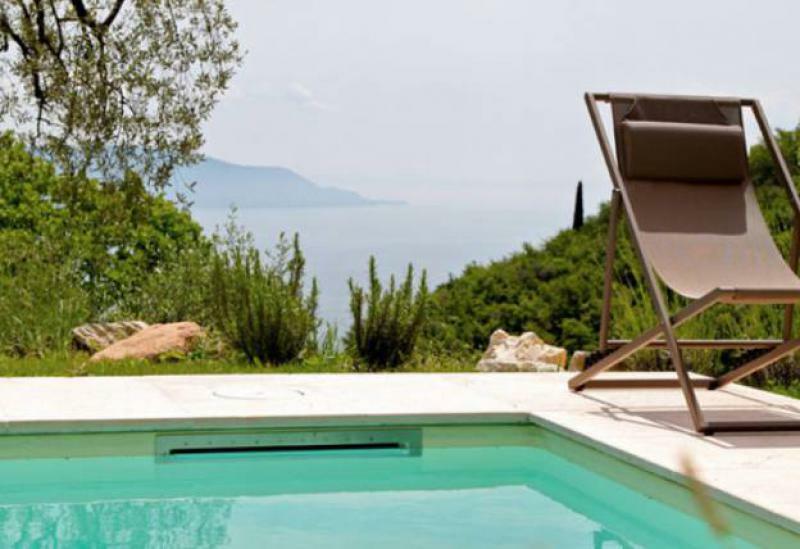 There is a private swimming pool (if needed heated a few degrees) with sunbeds. 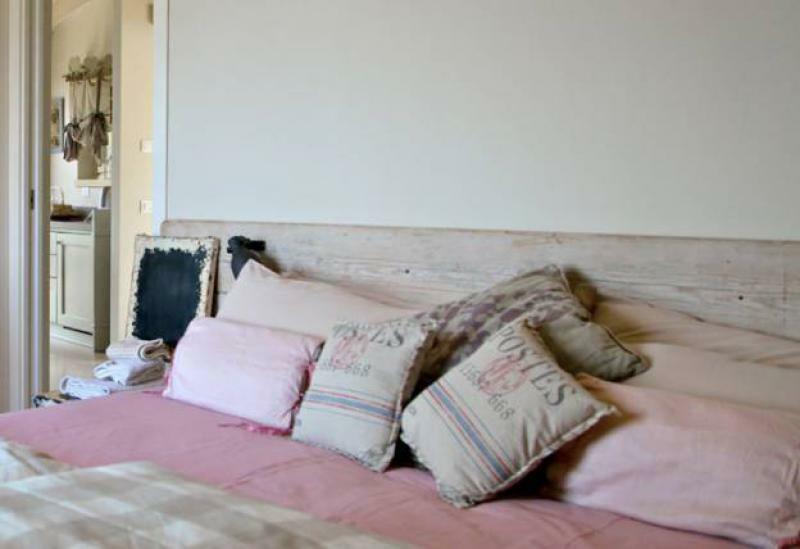 You can also rent the house in exclusivity, you then have two double bedrooms, two living rooms with kitchenette and sofa bed and 2 bathrooms. 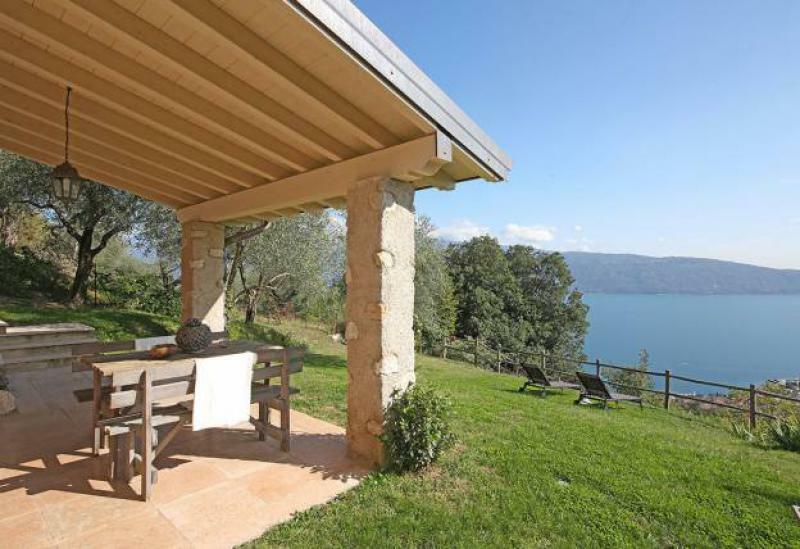 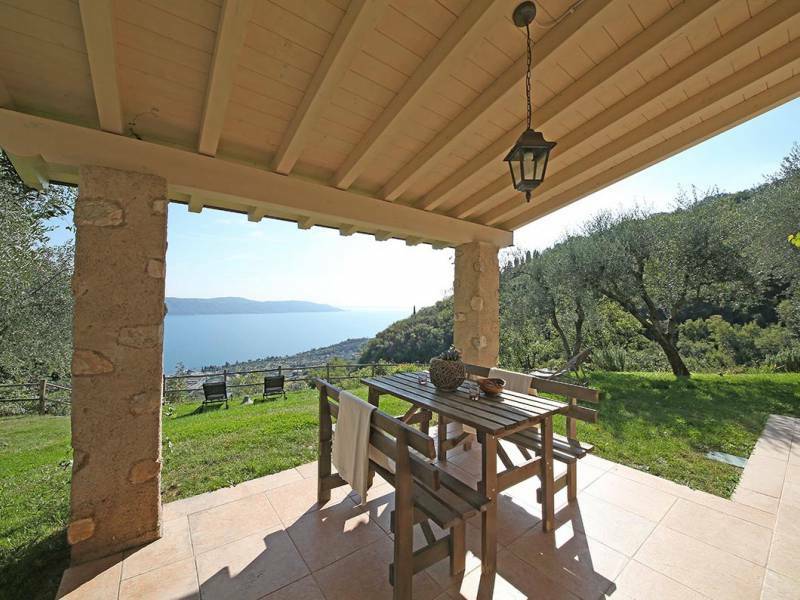 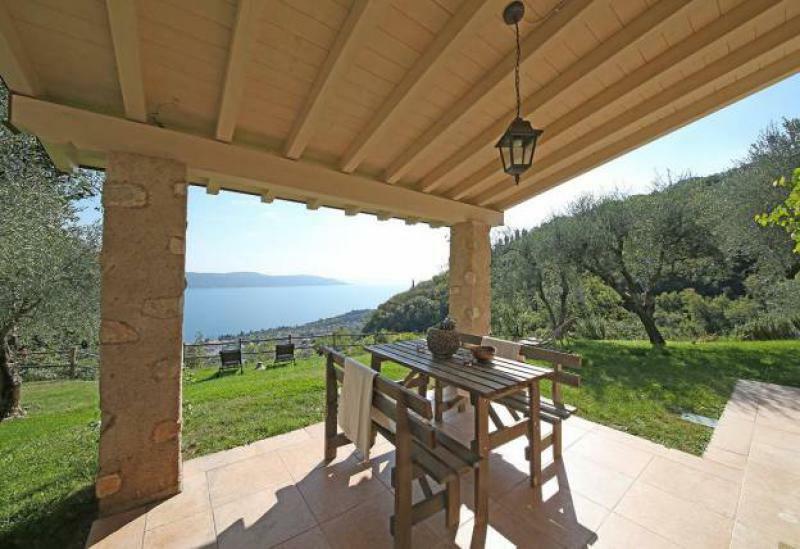 An ideal home for those seeking comfort, privacy and tranquility, but do not want to be far away from the buzz of Lake Garda. 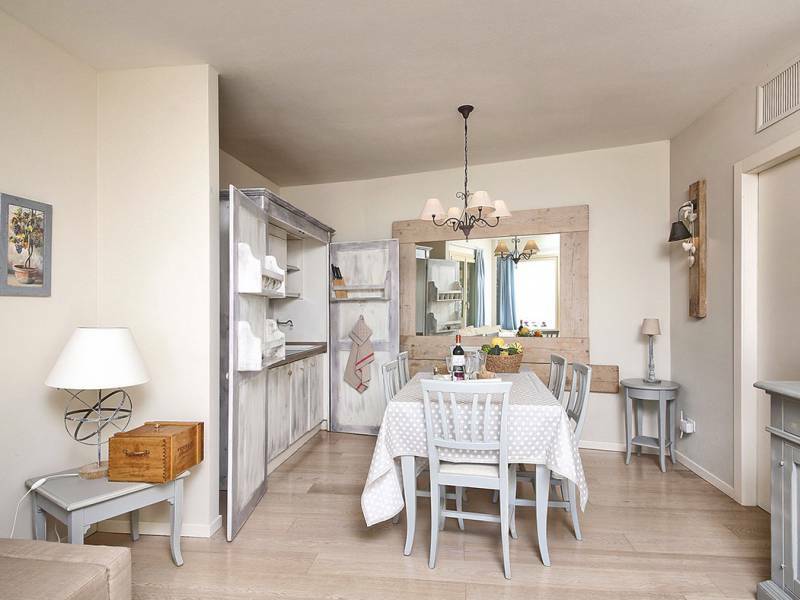 Apartment on the ground floor consisting of a living room with open kitchen and double sofa-bed, a bedroom with double bed (or two single beds) and a bathroom with shower. 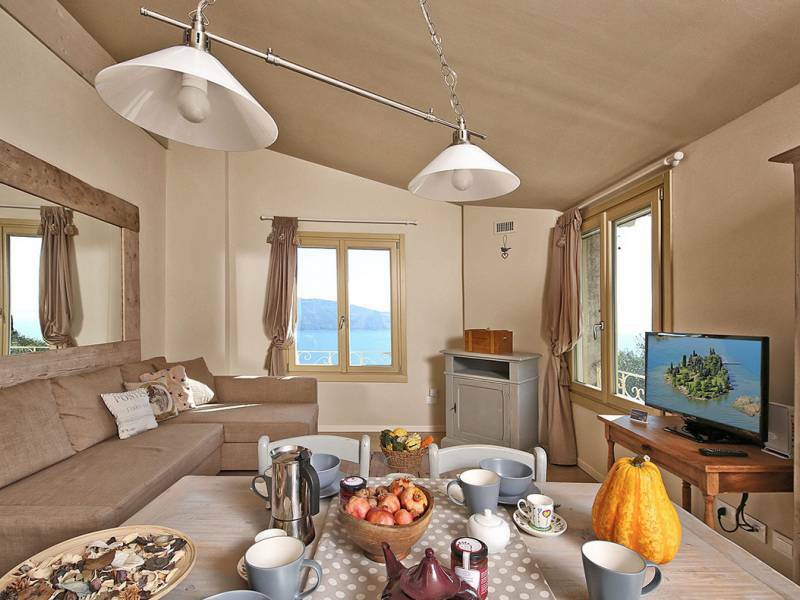 The apartment has a private covered terrace with lake view, direct access to the garden, air conditioning, satellite TV and wifi. 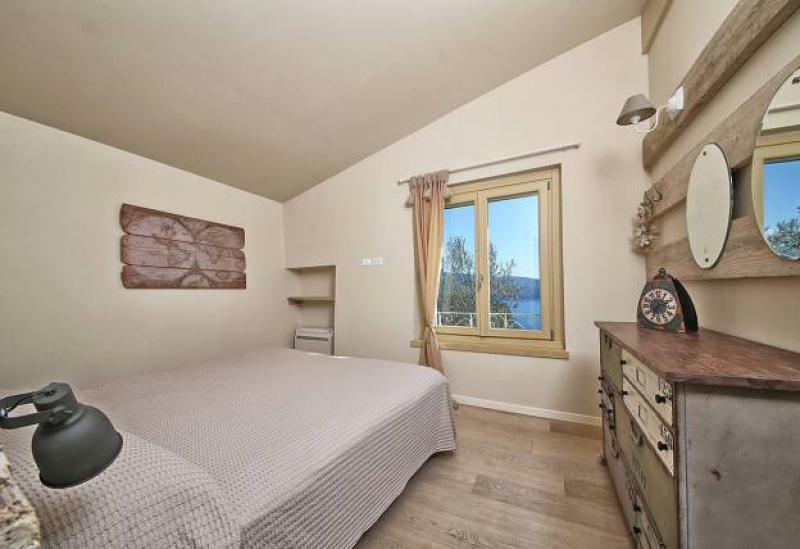 Apartment on the first floor but with entrance on the ground floor, consisting of a living room with open kitchen, fireplace and double sofa-bed, a bedroom with double bed (or two single beds) and a bathroom with shower. 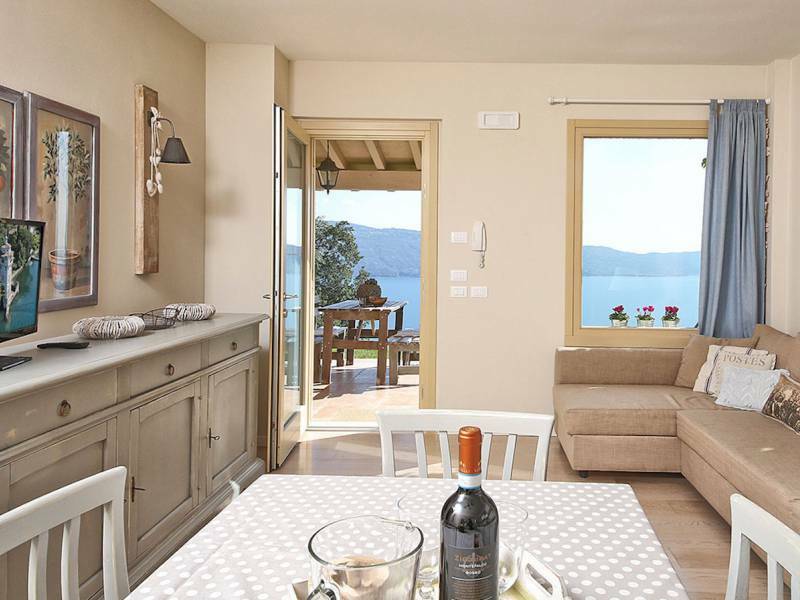 The apartment has a terrace with lake view, direct access to the garden, air conditioning, satellite TV and wifi. 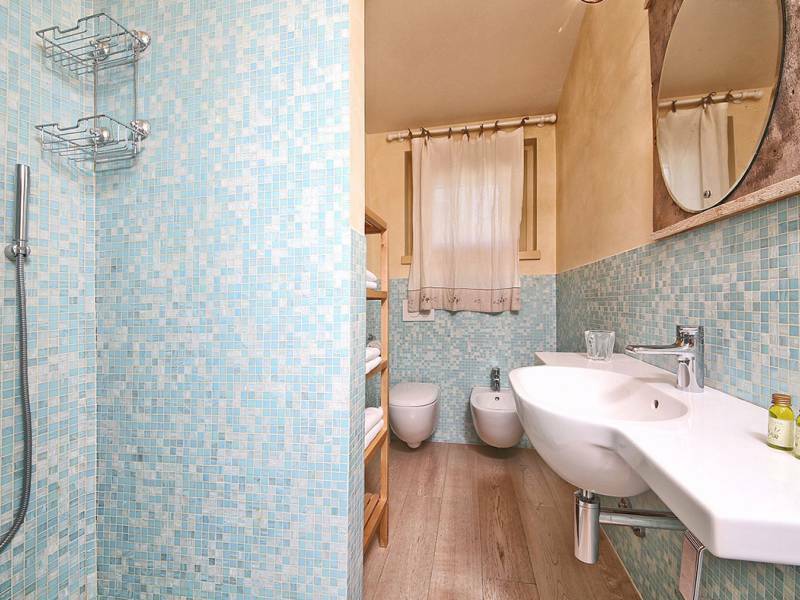 Not included: tourist tax and final cleaning € 50. 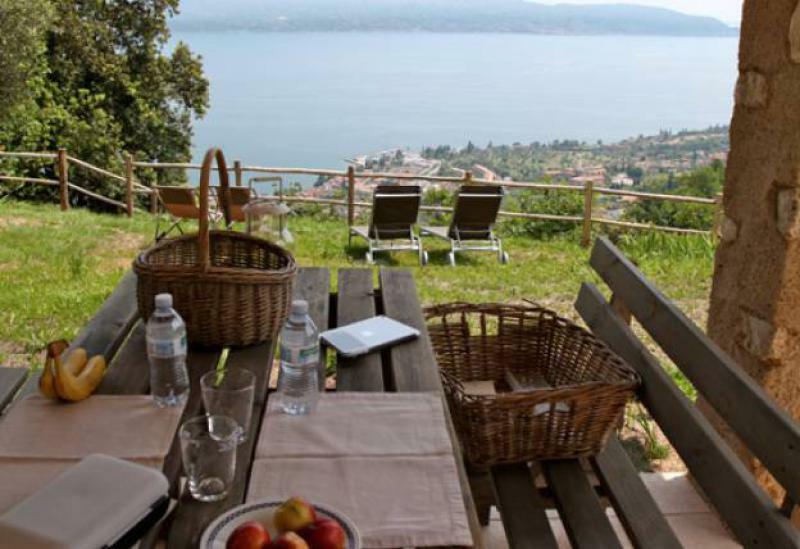 Note: In high season minimum stay of 1 week (from Sunday to Sunday).